is focused directly on the academic, social, and personal needs of its students. 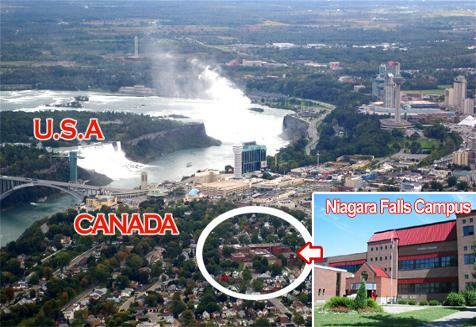 It is the historic academic site in Niagara Falls for over 110 years where the Niagara Catholic School Board and the regional School Board delivered academic programs. Start sooner and earn sooner: with all the advantages of a dedicated academy, NCA accelerates your career success through its market- demand and industry-tailored programs. Focused learning: by connecting curriculum directly with job skills in demand, our programs help you stay focused on mastering relevant skills and knowledge essential for your career success. More attention to each individual: Our small class size allows for a more personal and interactive learning environment in which each student is given sufficient care and individual guidance. Hands-on work experience: Significant parts of our training programs are delivered by hands-on practice oriented for real world trade practices and business scenarios. Flexibility in program entry: Students can enter our programs in January, May, and September. NCA’s smaller class size and caring instructors are dedicated to student needs, They provide students with the best chance of obtaining the results they want. NCA prides itself in the cosmopolitan and friendly environment that allows students to flourish and achieve their best potential in all realms of their lives.